Davis was one of the premier writers of the late-nineteenth and early twentieth centuries. 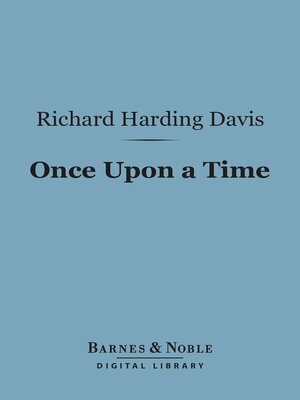 Once Upon a Time, published in 1910, showcases the storytelling talents for which Davis became famous. Some classic tales included are A Question of Latitude," A Wasted Day," and The Make-Believe Man."